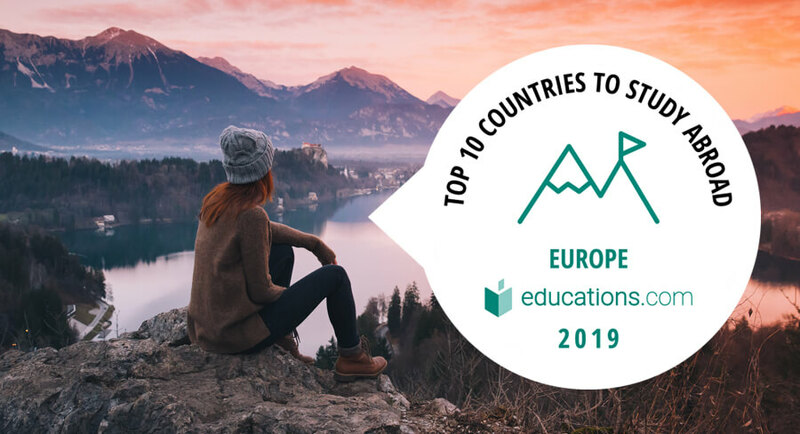 STOCKHOLM, Sweden, 19-Mar-2019 – / EPR EDUCATION NEWS / – Spain gets the first position as the best destination to study in Europe, in a ranking recently published by the higher education search portal, educations.com. In the first created ranking of this type, educations.com used the results of its survey based on different parameters and criteria that highlight the journey of a future international student in the search of the country as the preferred destination. More than 20,000 students worldwide, revealed what is the most important parameter to choose a university: The location. These factors included being able to experience a new culture, access to a higher quality education and being able to live an adventure among other criteria. The correlation of the data used showed that selecting a country is the most important step in the student’s decision-making process. Demonstrating its power of international student attraction, Spain achieved the first place in the European ranking and the second place in the world ranking. With a relatively low cost of living, with more than 70 universities to choose from, a rich historical artistic heritage together with an unparalleled cultural and tourist offer, Spain is a great option for any potential international student. “International students have different considerations when it comes to choosing a university and program for their international studies. We believe that Spanish universities offer an exceptional environment for students from all over the world to obtain a high quality education in a country that offers so many cultural opportunities “, says the CIO of educations.com, Fredrik Högemark. About educations.com: educations.com is part of the digital media group EMG – Educations Media Group, a leader in educational marketing in Northern Europe. Headquartered in Stockholm, Sweden, EMG reaches students from all over the world through its online platforms and marketing services for companies, public and private schools and universities around the world. Teacher’s Pet makes the iPad a Teacher’s Best Friend in the Digital Classroom! House of File, a mobile developer focused on a wide variety of applications, is excited today to announce the launch of Teacher’s Pet on the App Store. Created specifically for iPad and iPad Mini and is the ONLY App that Teachers need to make their iPad the ULTIMATE Teaching Assistant. First, you can create your lesson plans by date, grade, or subject, and save it to your calendar, or email the lesson plan to your colleagues or supervisor. Then, to prepare your lesson, this app will allow you to prepare notes, use an interactive whiteboard that you can preload with a picture or graphic, import PDFs or PPT presentations, upload videos, pictures, or record lectures and create flash cards, and then save your lessons to your calendar by date and subject. You can create lessons for as many subjects as you need each day. Finally, after your lessons are saved to your calendar, you can easily retrieve them for presentation. The app lets you present any of your material through your overhead with a VGA connector, or wirelessly through an Apple TV. Your lessons can be emailed or shared over Bluetooth, or you can use the print function to prepare handouts for students. A well rounded app, Teacher’s Pet features password protection options, as well as full iCloud backup support to ensure that your lessons and other data will never be lost. Setting up the app is as simple as inputting your name, school year, and classes that you teach. You’re free to set up appointments, reminders and other alerts within the calendar as well. Teacher’s Pet is currently available for download on the App Store for $4.99 in the Education category. Bigmouthmedia has revealed that the majority of recent Scottish university graduates feel that higher education should do more to connect students to opportunities in emerging industries and that universities are failing to adequately prepare leavers for life in the real world. According to a wrap up of 2008 graduate intelligence, harvested by bigmouthmedia from a series of recruitment events, the majority of Scotland’s class of 2008 believed that the education system is not properly aiding the transition from student life. Some 56% of the recent graduates polled believed that university had not sufficiently prepared them for life in the business world. The research revealed a worrying lack of awareness about opportunities in 21st Century industries. Over 46.3% of those surveyed said they knew little about opportunities in digital marketing and felt that universities should help increase awareness of such emerging industries. Some 39% also believed they should have been told more about the search marketing sector during their time in higher education. Respondents revealed a tendency to use online media to supplement gaps in the curriculum. Some 89% said that they had learned more about search engine optimisation and online marketing reading a range of industry blogs such as Search Engine Land and Search Engine Watch. The research also revealed that a career in search marketing is beginning to appeal to university leavers from disciplines not typically attracted to the sector. While 24.4% of the recent graduates enquiring about a career in the industry had marketing/advertising degrees and 29.3% had been studying ICT/Computing, the clear majority – 46.3% – had studied unrelated subjects. The results indicated that this broadening attraction could in part be due to the perception of the digital marketing as a ‘hot’ industry, with an overwhelming 80% stating that they believed the sector offered a more glamorous career than television marketing. The graduate groups questioned also revealed a preference for remaining North of the border after leaving university. Some 95% of the graduates questioned said they would prefer to pursue a high-tech or marketing career in Scotland if possible.